Rising temperatures could see disease-ridden mosquitoes, ticks and sand flies migrating to the continent. Hotter weather would lure insects out of their geographical horizons and into places further afield – such as Europe. And with the migration comes potential deadly outbreaks of malaria, dengue fever, leishmaniasis and Lyme disease. Dr Giovanni Rezza, an infectious disease expert at the Istituto Superiore di Sanitá in Rome, Italy, added: ”The stark reality is that longer hot seasons will enlarge the seasonal window for the potential spread of vector-borne diseases and favour large outbreaks. “We must be prepared to deal with these tropical infections. 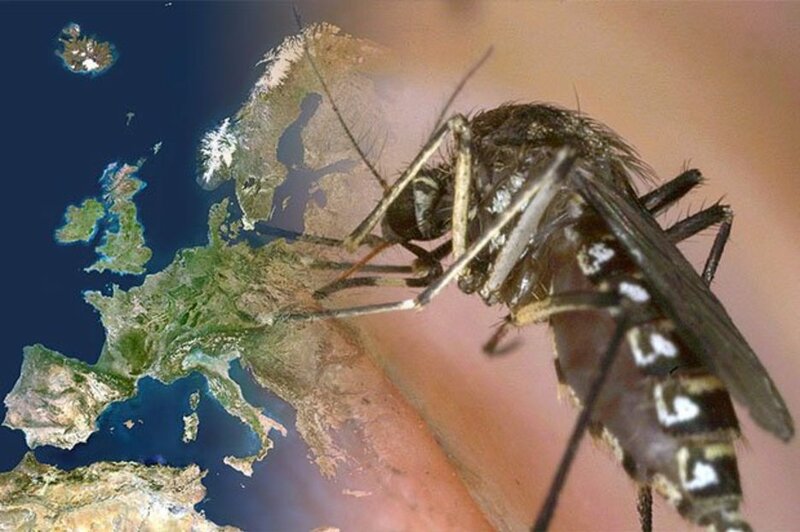 Global warming has already allowed mosquitoes, ticks and other disease carrying insects to invade new parts of Europe over the last ten years. It has seen outbreaks of dengue in France and Croatia, malaria in Greece, West Nile fever in south east Europe and chikungunya virus in Italy and France. The researchers say we are already seeing a surge in cases of Lyme disease and tick-borne encephalitis – a deadly condition that causes the brain to swell. There are an estimated 65,000 cases of Lyme disease every year in Europe, and in the last 30 years experts have recorded a 400% rise in cases of tick-borne encephalitis.